A friend told me while listening to NPR, there was something on Twitter where people were taking movie titles and making them sound boring. 1. You try it. It’s fun! 2. Choose one of the titles you’ve created or one of the titles above and write a story, script or poem to match. It could be a spoof or whatever you want it to be. 3. Create another art form for the title. What medium will you choose? Weekly writing contest with a CASH prize to the winner. Send us a short story—your story about an experience in midlife. No word minimum. No fee to enter. Multiple entries are allowed. If you win a $50 weekly contest, you are eligible to enter a $100 Contest, which we sponsor quarterly. What is your favorite quote from a children’s book you have loved? 1. What is your favorite quote from a children’s book? Use it to inspire a short story, poem or essay. 2. List your fifteen favorite children’s books. Do any of them inspire memories of your childhood? Write about them. 3. Choose one children’s book that has meant something important to you. Why is it special? 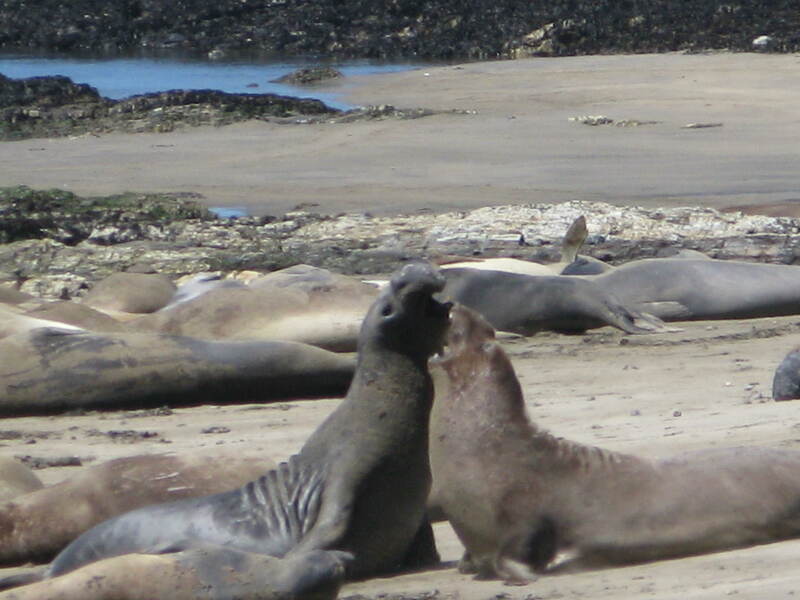 This past week my cousin came from Wisconsin and we played tourist, taking her places in Northern California, including Ano Nuevo, where male elephant seals are currently moulting. Even though there are no females around, a few of the younger seals practiced showing dominance, as showed in the photo, and with their tremendous, guttural wails. 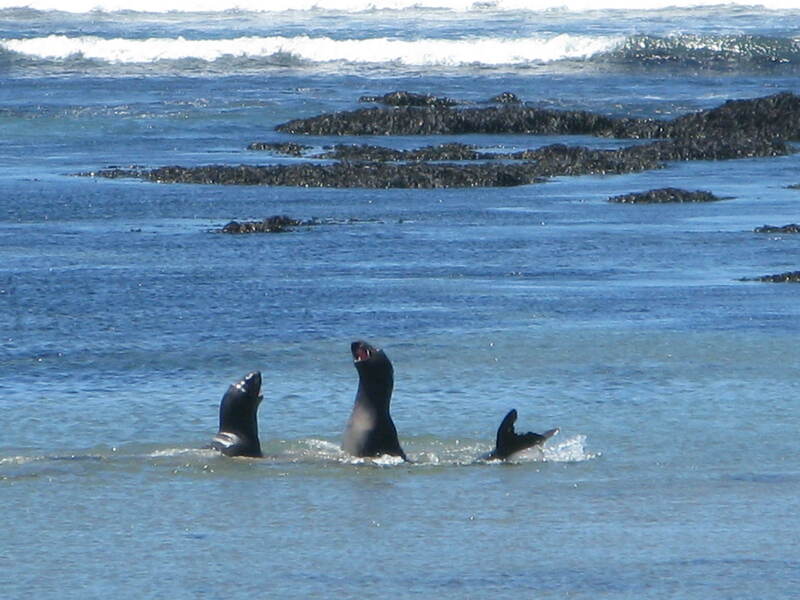 Seals flipped sand onto their backs and bellies as a cooling mechanism, as it was a warm day. One seal became a sand mound; so he wiggled out only to start sand-flipping all over again. Study a creature in nature. Describe its habits, vocalizations, or body movements. How does it relate/communicate to others? Write a poem, short story or personal experience based on this being. Is your summer filled with day trips or longer travel? Keep a travel journal. Collect photos and paper souvenirs which can help recreate your experiences. Create art or writing based on an anecdote in your journal.